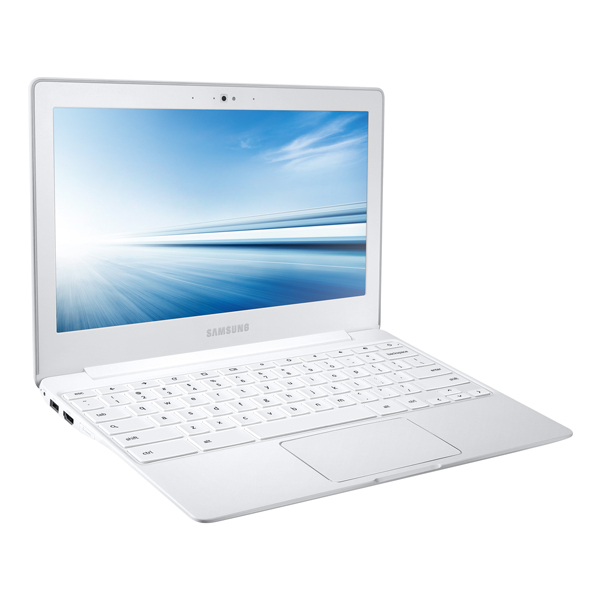 The Chromebook if you recall was the first Notebook running on the Chrome OS which included all the niity gritty’s that can be found in Google’s marquee web browser. 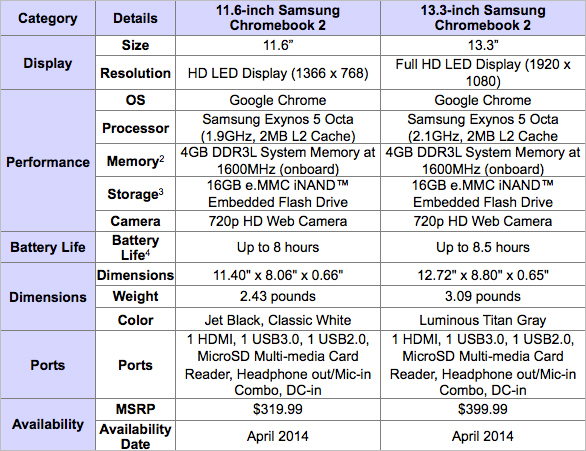 What the Chromebook actually brought was a new and cheaper way fpr customers who wanted to not only try something new but who also had one watchful eye on their wallets as well. 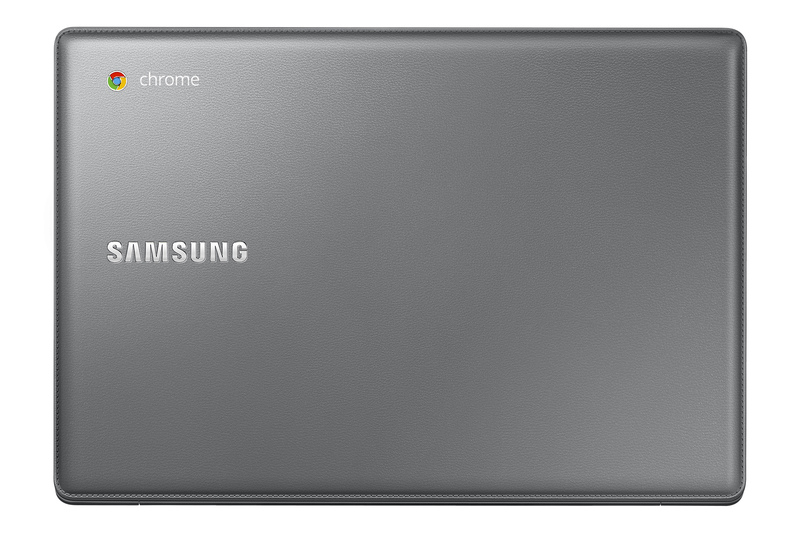 The first Chromebook (manufactured by Samsung) on paper managed to do quite well with more than a million units sold. 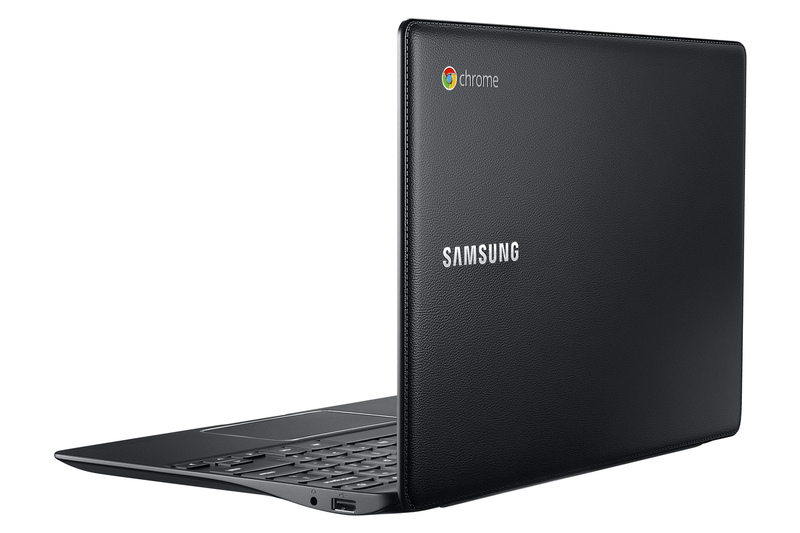 Following the success of its predecessor, Samsung have officially unveiled the Samsung Chromebook 2 and is available in two sizes with similar looking specs; one variant stretches 11 inches at 1366 x 768, while the other is increased to about 13 inches and also comes with a 1920 x 1080 resolution. Both the devices would be priced at $320 and $400 respectively and are available in three colors: Jet Black, Classic White and Luminous Titan Gray. One of the major attractions of the Chromebook 2 is it’s sleek design which gets perfectly complimented with a stitched faux leather casing similar to the one found in the GALAXY Note 3, the GALAXY S4 Black Edition and the recently launched Samsung Galaxy S5 which not only gives the Chromebook a sophisticated executive look but also at the same time makes it feel more sturdy and appealing to the eye. As an introductory offer, Samsung is also giving over $100 in premium services, including a year’s worth of premium membership to AirDroid for managing your Android device over-the-air, Wunderlist Pro for organizing your tasks, and LittleBridge.com for learning English. From the looks of things, the Chromebook 2 has got everything in its stride to compete with some of the other Notebooks within the same price range. What needs to be seen now is whether will it be as successful as its predecessor or would the Chromebook 2 face competition from some of its other competitors. We’ll soon find out ! !